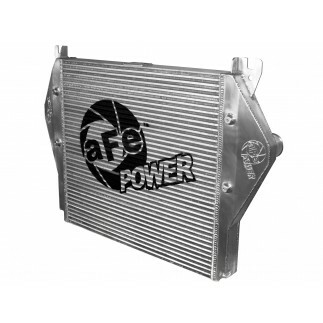 aFe power is proud to introduce the Intake Grid Heater Delete Spacer for the 1998.5-2007 Dodge Cummins L6-5.9L (td). 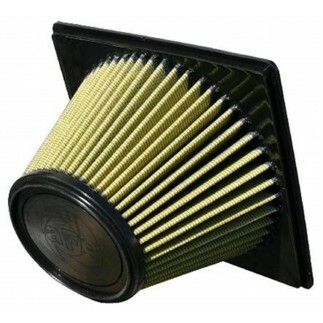 This spacer replaces the restrictive factory electric heater and improves the air flow to the intake manifold for increased boost, performance and improved throttle response. This grid delete spacer is designed to make it easy for you to re-install your factory unit during extreme cold weather for easy start up. 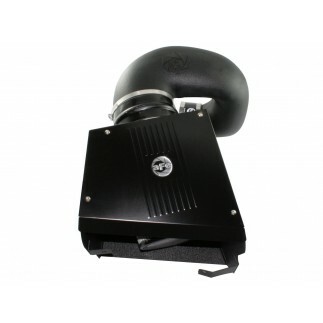 Construction: This spacer is constructed of hard coat black anodized 6061-T6 machined billet aluminum for superior protection and a great under hood look. Multiple Auxiliary Ports: Four tapped 1/8" NPT ports are supplied for easy installation of gauges, water injection or nitrous oxide systems. Hassle-Free Installation: All necessary hardware and gaskets are included for an easy, hassle-free installation. 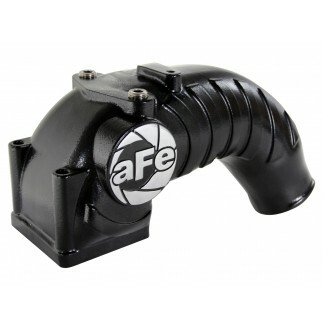 Improved Performance: By eliminating the restrictive heating elements in the intake manifold, the spacer produces increased air flow for increased boost , improved throttle response and lower EGT's.